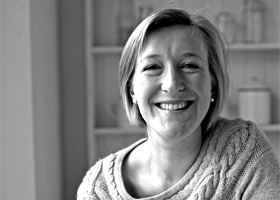 Ghillie James was food editor of Sainsbury’s Magazine for five years and now writes freelance from her home in Singapore for various magazines, including Delicious. Having previously published titles such as, ‘FoolProof Freezer Cooking’ and ‘James, Jellies and Relish’, James has turned her attention to grains. Grains have always played an important part in a healthy diet, but not everyone knows how to cook with them. Ghillie James not only discusses all the grains – their provenance, nutritional benefit, how best to cook them – but showcases 120 international recipes that celebrate them. James also owns her own business, ‘Lazy Larder’. This hearty stew makes a great one pot meal that goes a long way with the addition of barley. This is a delicious variation of the classic combination of pork with prunes and mustard sauce, with the barley and greens cutting the richness. Imam bayildi is a classic Turkish stuffed aubergine recipe featuring robust flavours of tomatoes, onion and lots of herbs and olive oil. Polenta makes a wonderfully creamy canvas for this easy recipe using aubergines and tomatoes.